Deeper: the drugs have changed, as has the intent. 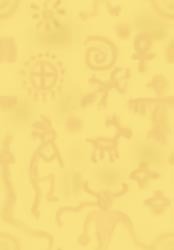 I read a couple of very interesting books on Shamanism (pronounced SHAH-manism) recently, with lots of interesting background historical information. For example, I learned that while some shamans in some cultures used hallucinogenic plants to journey, others did not. The common thread between the shamans of all known ancient cultures, though, was the travel outside of ordinary reality. Those performing this were usually highly respected members of the community. A difference between then and now is that the astral/nonordinary/SSC experience was used mainly for the benefit of another person. Modern laws prohibit this practice, where any helper plants are involved. So yes, there are other routes to Destination X, involving focussed intent, movement, visuals, repetitive beats, abstentions from the senses, etc. People still think you're a weirdo if you let on that you do these things, though, legal or illegal. And yet many of us do it, or attempt it, in our free time. * Drugs today are used mainly (I venture to suggest) as entertainment, as an escape from or an escape to; rather than so much as a doorway. I take your point, though, Erik, about the strong/remote likelihood of our ancestors smoking, tripping or whatever, socially and for fun. This could be because the popular ones are stimulants or mood-alterers, rather than hallucinogens. Why? Why do the governments not want their citizens exploring inner space with mushrooms, peyote and ayahuasca? 'Owsley Bear' (can't remember his proper name) put it well in a recent issue of the magazine Island Life: I think he said something like "the government wants lots of TV-watching, hamburger eating, mall strolling solid citizens." I should be careful quoting him without the article here with me (it was a friend's, he is abroad), but his gist, as I remember, was that it was time to take back the personal power which has been taken from us by organisations. A couple of vaguely connected spinoffs from the hallucinogen angle. ****On an altogether unconnected note, may I suggest that you make this box for typing submissions bigger: as wide and easy as sending email? It's difficult to keep up with your own thread when you're a slow typist like me, and can't see what you've just written. **Or is that the idea, to focus the brain on its task and so be more discriminating? You can judge from my mashed-potato ramblings whether I deserve all the help I can get.